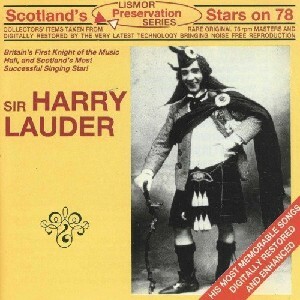 Sir Harry Lauder - Scotland's Stars on 78, The Scottish Music Shop - The Best Selection of Scottish CDs and Scottish DVDs. The ultimate Scot! Knackely knees, shoogly sporran, big whiskers and even bigger stick. Home grown talent, transatlantic star, writer of melodies you've always known.